Congress spokesman said that new facts had come to light on the conduct and neutrality of Justice Dhingra which had substantiated the doubts raised by the party earlier. CHANDIGARH: Raising serious doubts over the "conduct" and "neutrality" of Justice S.N. Dhingra (retired), the Congress party on Friday demanded that the Dhingra Commission Report on land deals in Gurugram, which includes land deals of Congress President Sonia Gandhi's son-in-law Robert Vadra, should be rejected. 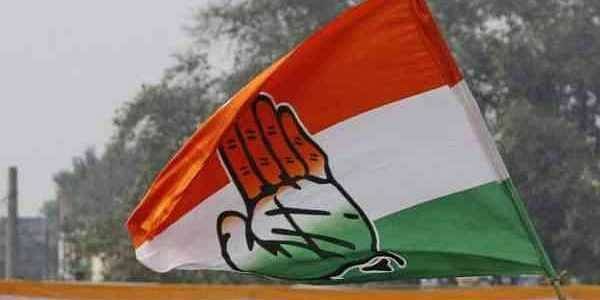 Congress spokesman Randeep Singh Surjewala told the media here on Friday that new facts had come to light on the conduct and neutrality of Justice Dhingra which had substantiated the doubts raised by the party earlier regarding the fairness of the inquiry done by him in the Gurugram land deals matter. "Justice S.N. Dhingra Commission of Inquiry and its report submitted on August 31, 2016, have been used as a political tool for malicious witch-hunt by the BJP government. "A cloud of predetermined animosity and a 'fixed match' syndrome has marred the constitution of the Commission, proceedings of the Commission, apparent bias and illegalities committed by the Commission in not summoning the persons or giving them opportunity to examine witnesses and defend themselves against whom a finding of guilt was proposed to be returned as mandated by Section 8B and Section 8C of the Commissions of Inquiry Act, 1952, and finally the perfunctory report submitted by the Commission," Surjewala said in a statement here. "During this entire web of conspiracy, the Congress had pointed out that 'conduct' of Justice S.N. Dhingra has raised a serious question on his neutrality, lack of prejudice and bias as also a serious compromise on his 'capacity' to head the Commission or furnish a report. "Clinching evidence including 'court orders' now reflect that position of Justice S.N. Dhingra to head the Commission of Inquiry stood compromised totally, rendering him ineligible. Justice S.N. Dhingra Commission's report, therefore, needs to be rejected in toto and has been rendered nugatory on account of a compromise on the conduct and capacity of the Hon'ble Judge," the statement said. Surjewala said that Justice Dhingra had compromised his position as an independent and neutral player by accepting favours from the government of Haryana for a trust headed by him, including accepting gift of land for this trust from a private individual. Justice Dhingra heads the Gopal Singh Charitable Trust based in Niti Bagh, New Delhi. "A private individual in Gurgaon (Gurugram) had proceeded to gift a chunk of land to this trust leaving aside a few thousand trusts operating in Haryana, including many such trusts and NGOs located in Gurgaon," Surjewala pointed out. The Congress leader said that the conduct of Justice Dhingra as an observer incharge of a private company, The Printers House Private Ltd, at a time when he was heading the inquiry commission of the Haryana government was also not above board. "Justice Dhingra continued to draw remuneration both from the government of Haryana as also from The Printers House Private Ltd. Did he seek consent of the subsequent appointment and availing of second remuneration from the government of Haryana?" Surjewala asked. He further said: "During his appointment as an observer of The Printers House Private Ltd, Justice Dhingra transferred funds to the tune of Rs 8,88,000 and Rs 6,66,000 to a company, i.e. Cinnamon Trails LLP, an entity in which his daughter, Bharti Dhingra, is a designated partner," Surjewala claimed. Justice Dhingra had availed international and domestic travel facilities and hotel expenses for himself and his wife for Myanmar and Hyderabad, he added. The Congress leader urged the BJP government in Haryana, headed by Chief Minister Manohar Lal Khattar, to reject the report by the Dhingra commission.